Twenty-eight years and 500,000 tickets after The Dukes in Lancaster introduced a summer promenade (now called “outdoor walkabout”) production to its programming and the company could be forgiven for allowing a touch of complacency to slip in. Indeed, from time to time not all the selections have hit the bullseye but this year, unlikely as the subject matter may seem, things are definitely back on track. 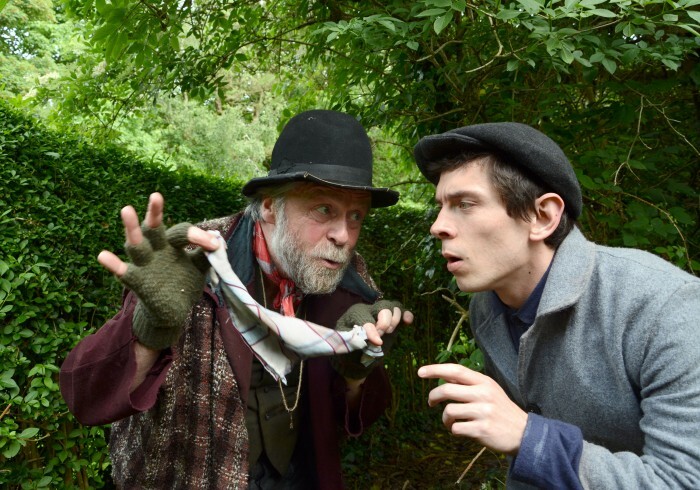 Transporting the characters of Charles Dickens’ frequently cruel tale from the slum streets of Victorian London to the verdant surrounds of this Edwardian park works surprisingly well. So Fagin’s hideaway is now housed in a dingly dell and the wonderful Williamson Folly is easily believable as Mr Brownlow’s posh domicile. Coronation Street regular writer Debbie Oates effortlessly emphasises the soap opera element of the original story with a script which holds even the youngest of attentions (helped by the six very different scene changes) whilst director Joe Sumsion is happy to play mind games doubling Russell Richardson’s less than stereotypical Fagin with cruel Mr Bumble and Leigh Symonds’ thuggish Bill Sikes with the eventually benevolent Mr Brownlow. Even our preconceptions of the Artful Dodger aren’t safe – here in the mischievously good hands of Josie Cerise – nor are those of the bigoted magistrate Mr Fang – played for laughs by scene-stealing Victoria Brazier to contrast with her moving Nancy. At times it does substitute panto slapstick for dramatic depth (throwing away Nancy’s murder and Sikes’s death as noises off) but it’s a price which has to be paid when writing for such a wide age range. And the ill-treated orphan Oliver Twist himself? A suitably sympathetic if not overly memorable interpretation by Jerome Thompson.